The J2 adds another position on the finicky "mode dial": Creative photography, which is where you'll find easy panorama, miniature, selective color, soft, backlighting, and a few other new functions. The color LCD is now 912k dot instead of 460k dot, providing additional resolution when composing and viewing images. Some of the buttons are ever so slightly changed, and the overall weight has increased .1 ounces (3g). Also introduced with the J2 was the 11-27mm f/3.5-5.6 (non-VR lens, US$190), and the new WP-N1 Waterproof Case (housing tested to 131 meters, US$750), which works with the J1 or J2 and the 10-30mm f/3.5-5.6 VR lens. The J2 will sell for US$550 with the 10-30mm VR lens. All three products will ship in September. One has to wonder what's up with Nikon and the 1 line. The press release used to announce the camera has the following comedic highlight: "…are welcome additions to the ever growing Nikon 1 System." Uh, they're the only additions in a year, and they consist of a minor update to an existing body, a lens that no one will really want, and a very expensive underwater housing that doesn't work with the lens that no one will want. The headline to the press release probably should have read "Nikon Makes Two Lame Product Changes and Then Sinks in the Water." Seriously, the J2 seems like a reasonable minor update to the J1, which we'll probably now see pushed at discount. Of course, as I write this, the NikonUSA Web site lists the J1 as US$650 and the J2 as US$550, meaning that you pay US$100 more for fewer dots on the LCD and to have the extra setting on the mode dial removed. Hmm. Okay, maybe I shouldn't have started this paragraph with the word "seriously." But technically, the changes are welcome, though I don't see why this isn't just a J1s with the J1 discontinued. 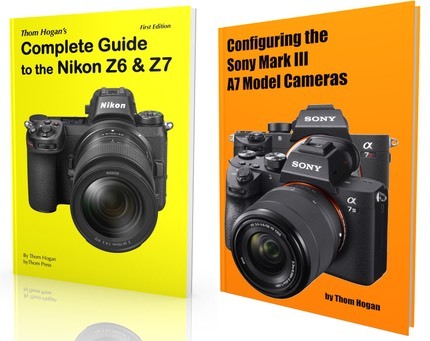 Instead, it appears Nikon is going to have both models in the lineup, as all their brochures and literature are now updated to say J1, J2, and V1. Meanwhile, the new lens is a complete yawner. Sure, it loses more than a third of the weight and a half inch of depth, but it gives up VR and a really useful 1mm at the wide end. It doesn't currently come as a kit option, so if you want this more compact lens with fewer features you have to buy it and now you've got two very similar lenses. I have a message for Nikon: you screwed up with DX lenses, now you're screwing up CX lenses even worse. Announcing this lens will actually push a lot more folk to m4/3 than not announcing any lens would have. At least if you hadn't announced a lens we could still pretend to dream that you'll some day announce the lenses Nikon 1 users really want. One can only hope that Nikon has something a lot more impressive up their sleeve. I carried the low-end Samsung NX1000 (20mp APS sensor) with me to Alaska recently and it just blows rings around the J1 (and now J2) in almost every way except focus performance. And gee, Samsung has more lenses and better choices in focal lengths and apertures. Meanwhile, at the other end of the spectrum, we have the Sony RX-100, a seriously compact camera with the same sized sensor as the Nikon 1 series, and it also tends to blow rings around the J1 (and now J2) in almost every way except focus performance. Sensing a theme here? The problem is a classic product positioning one: Nikon has allowed themselves to get bracketed by competitors. Canon, Pentax, Samsung, and Sony have gone with a far larger sensor. Canon and Sony have put large sensors into the compact cameras Nikon hopes to win uses from (likely with more entrants coming). This makes the Nikon 1 claim to fame basically its focus speed. That's a mighty thin point to try to defend, especially since Nikon basically delivers that with only a couple of useful lenses. I'm all for improving the J1, don't get me wrong. In that sense the J2 is welcome (though I bet you that the mode dial still moves every time you handle the camera, which means that Nikon engineers are either ignoring the most common complaint about the camera or simply don't see user complaints at all). But fast phase detect autofocus and a decent 10mp image is not going to win the mirrorless game. 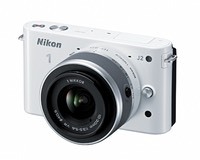 Nikon needs to move faster, smarter, and fix the real problems and gaps with the Nikon 1 lineup. 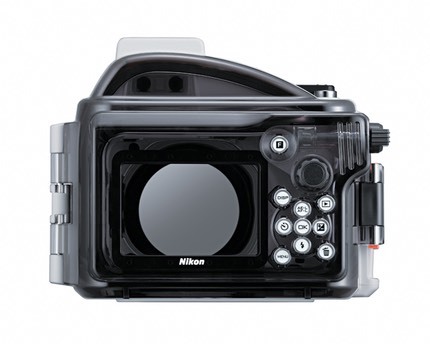 In short, I'd actually like to see some "welcome additions to the ever growing Nikon 1 System." We didn't really get any today. As usual, I've added data pages for the new products.